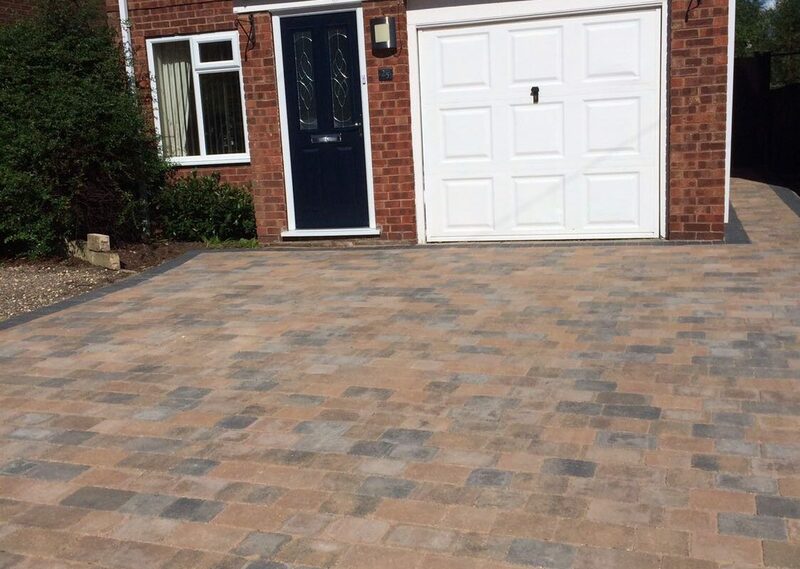 A fantastic new block paving patio to a home in Ollerton, Nottinghamshire. 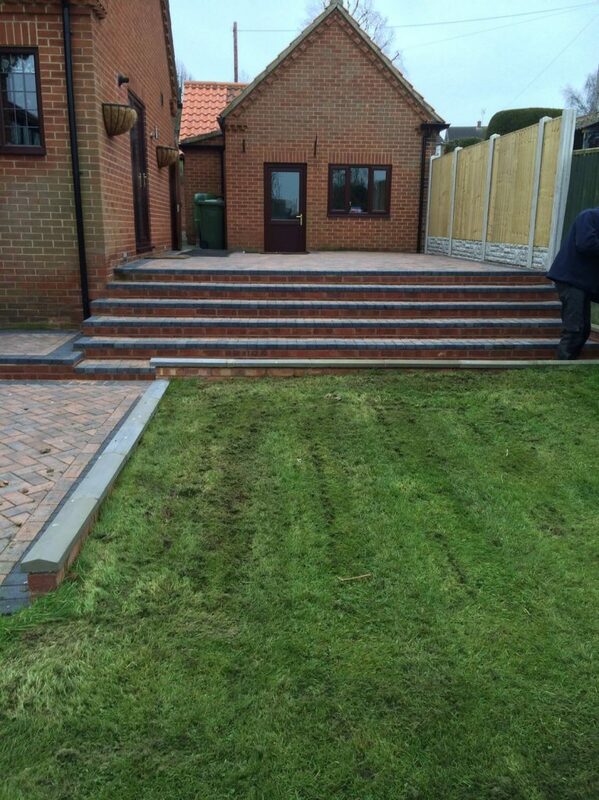 This is a huge transformation of the garden and significant enlargement of the communal patio and stairway. 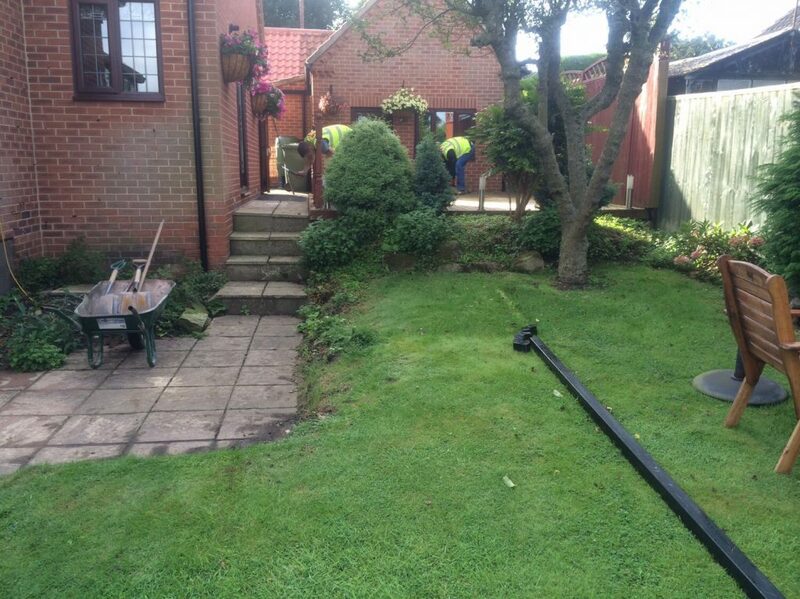 We removed the existing vegetation, tree, old patio and fence. 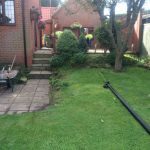 We laid new turf, built a new picket wall and erected a new fence. 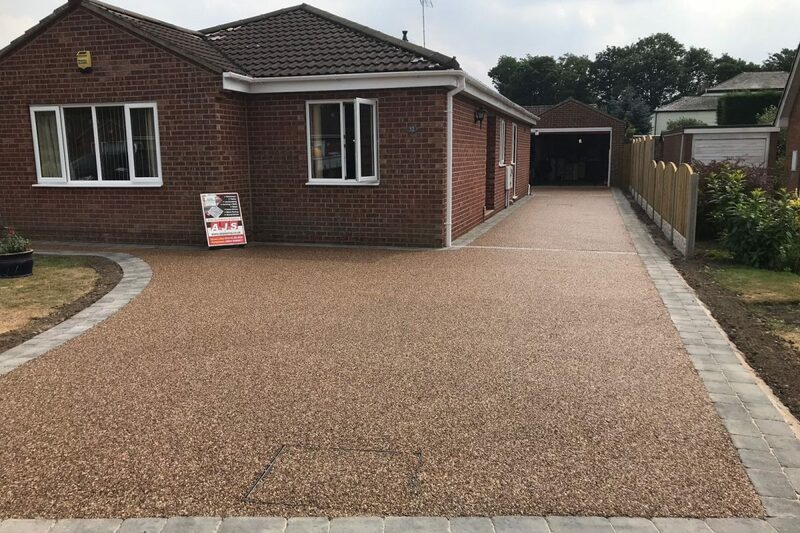 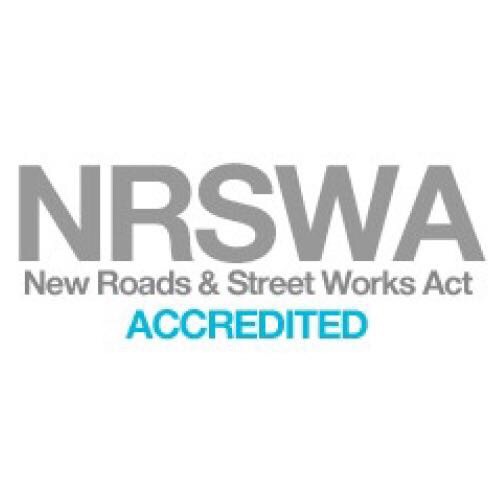 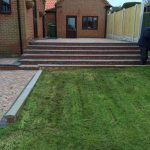 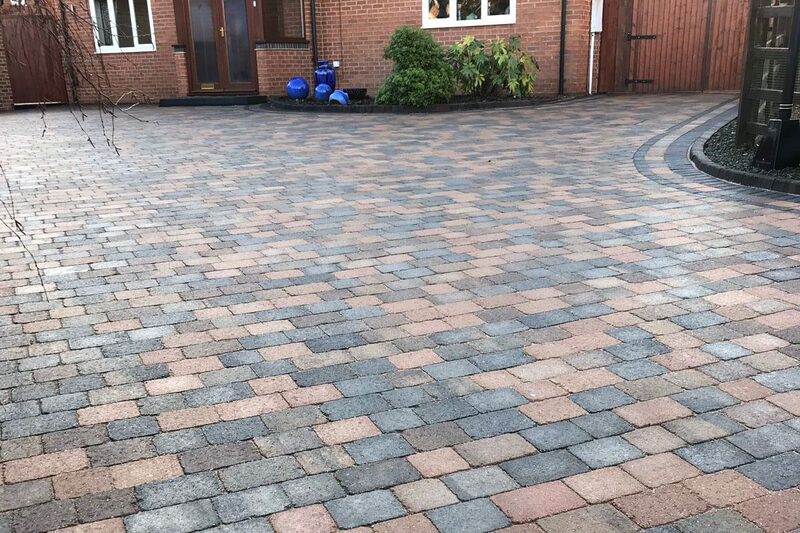 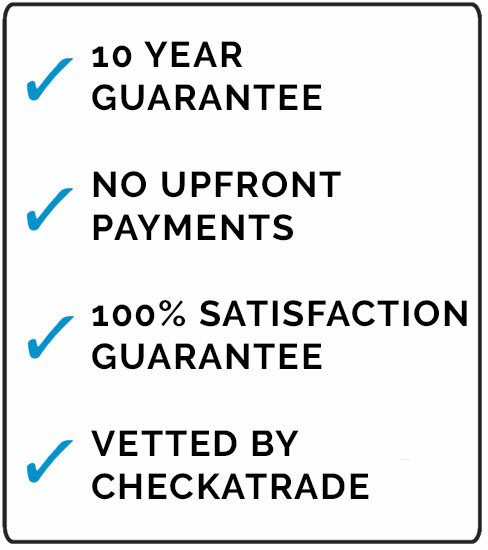 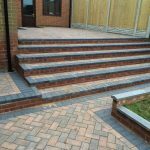 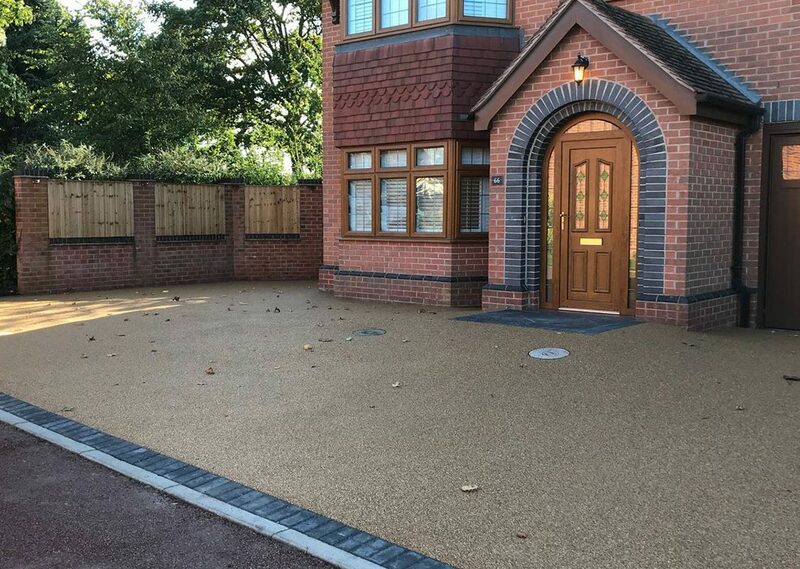 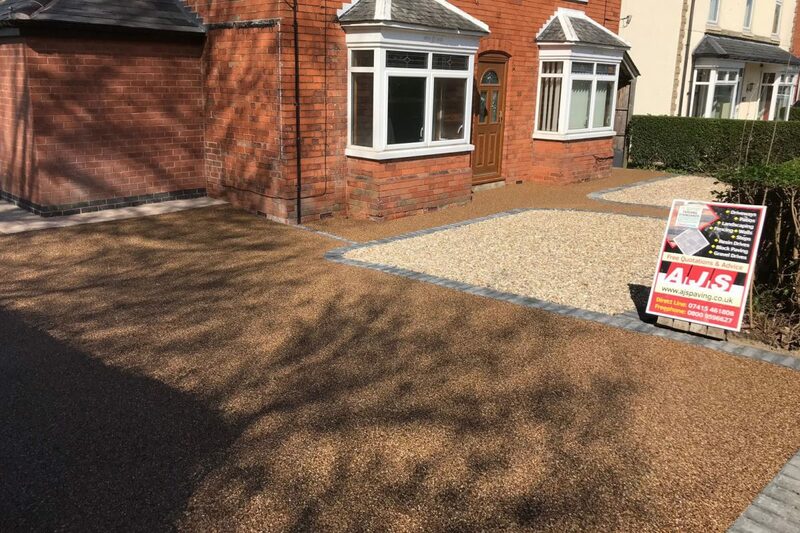 A sub-base was installed and the block paving was finished in Plaspave pavers, which are renowned for high quality, allowing us to guarantee this patio for 10 years. 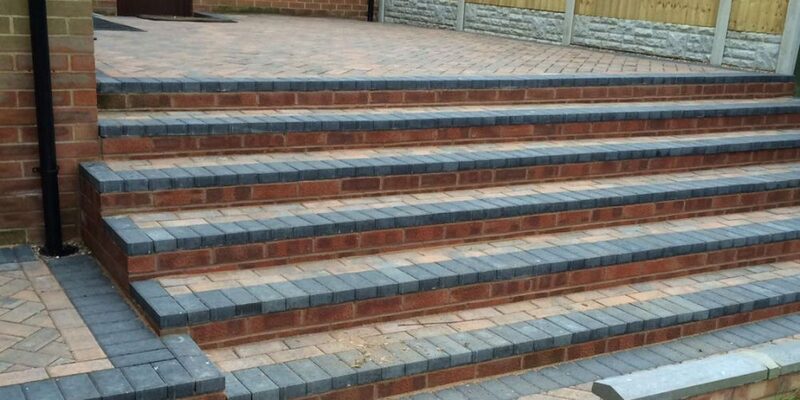 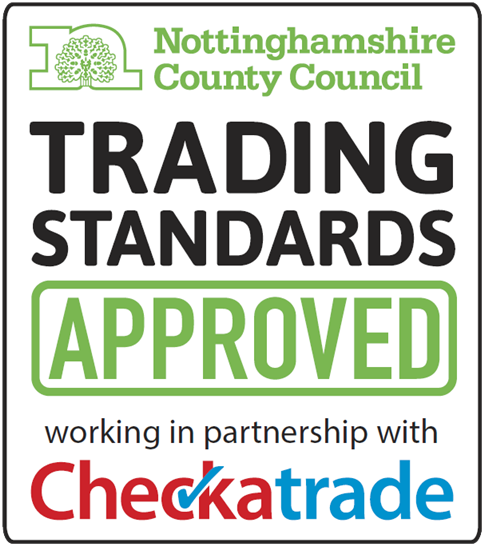 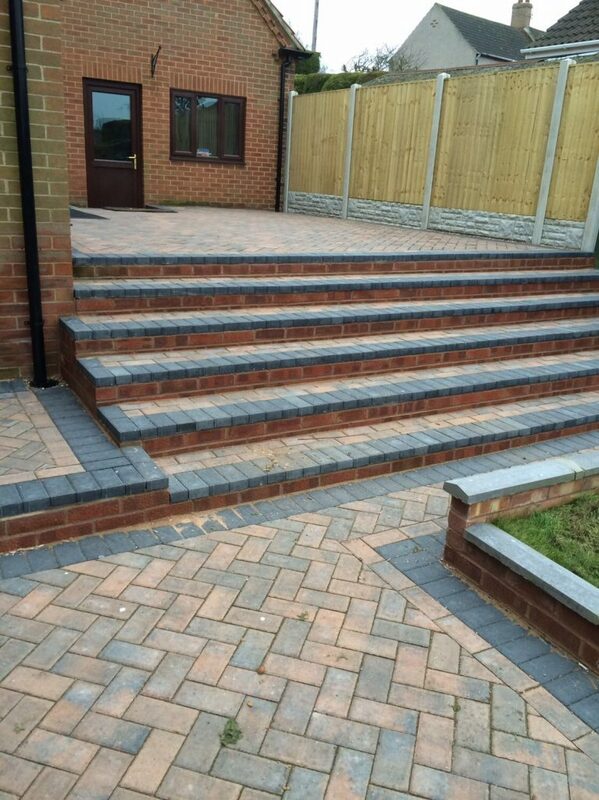 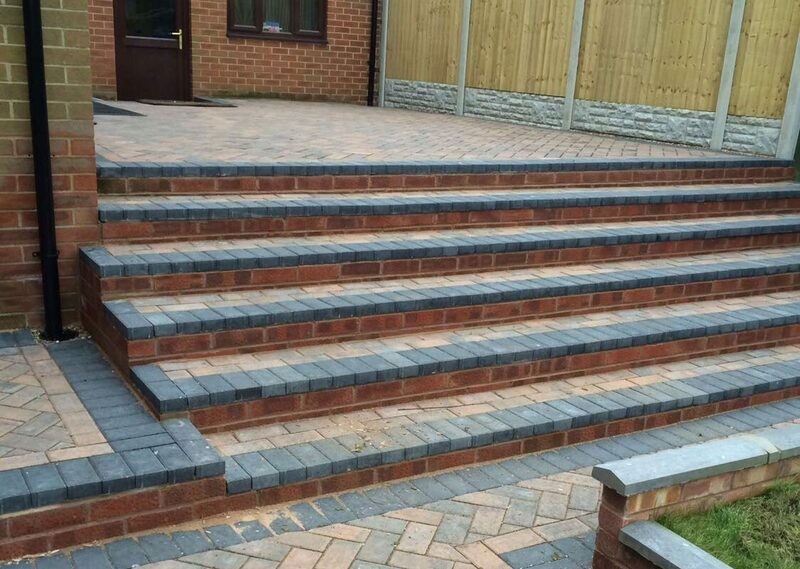 This is just one example of our patios in Newark, Retford and surrounding areas.